How Chiropractic Helps Resolve Patellofemoral Pain Syndrome – Coberly Chiropractic, Inc.
As the weather warms and spring is in full swing, more and more runners are heading outside, hitting the pavement to train for upcoming races or to just step up their game after a long winter. While there are some die hard runners who don’t let even the most brutal winter stop them, most tend to retreat indoors, waiting for warmer days and a more pleasant environment. Unfortunately, increased activity can also lead to an increased risk of injury, particularly patellofemoral pain syndrome (PFPS), also known as runner’s knee. Runner’s knee is often used to describe PFPS, but runner’s knee is actually a broader term describing several different knee injuries or ailments. PFPS is a painful condition that is caused when the tissue that is between the femur (thigh bone) and the patella (kneecap) becomes inflamed or irritated. Most people will notice pain in the front portion or anterior part of the knee, but pain can be experienced in other parts of the knee and even back pain may occur. Running increases the discomfort, as does sitting for long periods and going up or down stairs. The causes of PFPS can also vary widely. Overuse is often the first thing that people think, but a problem with the way the knee is aligned is actually the most common reason. If the patella is not properly aligned, when it moves through the groove that is at the end of the femur, it causes irritation to the surrounding tissues. This usually happens because the muscles and joints are out of balance. For instance, if the quad muscle on one side is weaker than the other side it throws the entire system out of balance, causing the knee to become misaligned. This leads to knee pain and discomfort. When treating PFPS, rest is usually first on the list, followed by icing the area to reduce inflammation. Once the pain is under control, the next step is to determine what is causing the problem. It is important to rule out more serious conditions or injuries first in order to determine the best course of treatment. If it is indeed PFPS, strengthening the muscles in and around the knee is generally the first step in treatment. It is important that the muscle strength is balanced so that the knee can be properly aligned. Getting a good pair of running shoes is also recommended so that future injury can be prevented. Runner’s knee, or PFPS, responds very well to chiropractic treatment. 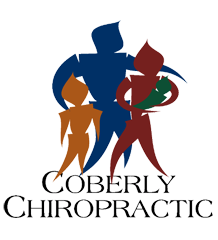 The chiropractor is able to do a complete exam and find the cause of the problem, then tailor the treatment accordingly. This is typically done on a case by case basis with treatment that is based on the individual’s unique needs. The chiropractor may do various chiropractic alignments and manipulations on the spine, hip, ankle, and knee in order to bring the body back into proper balance. The chiropractor may also recommend other complimentary treatments including special supplements, dietary adjustments, and an exercise plan. The chiropractor may also recommend certain stretching exercises to aid in healing. Kinesio taping is another common treatment that may be used in conjunction with chiropractic care. It is particularly beneficial when there is a muscular strength imbalance. The tape can help support the weaker muscle group. Chiropractic care is a very effective treatment for patellofemoral pain syndrome and the associated knee pain. It works to correct the problem by bringing the body back into proper alignment, allowing it to function as it should.